The variety and selection of home-grown fruit is far greater than what can be purchased in a store. Fruit that travels hundreds of miles can not be nearly as fresh or nutritious as that picked from your own back yard. When selecting something to grow, why not try something just a little different? 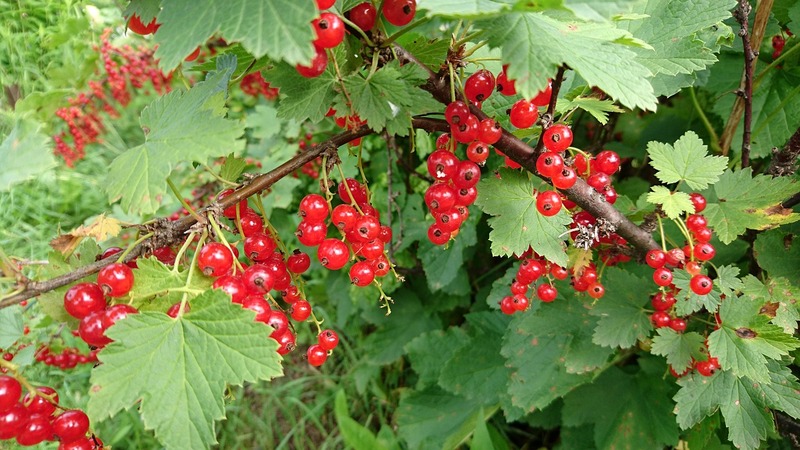 Currants, gooseberries, and elderberries are native to Wisconsin and can often be harvested in the wild. They grow along forest edges, in fence rows, and in undeveloped areas. However, they are easy to grow in an urban landscape and provide not only highly nutritious fruit, but also are a beautiful landscape plant. When preparing to grow these tasty, vitamin packed berries, choose a site that is well drained and in full sun. Cool, moist areas are better than hot and dry ones. It is best to take a soil sample to determine if any nutrients need to be added before planting. Thoroughly and carefully remove all weeds and grass. 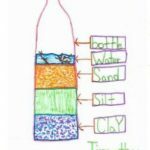 Ideally, begin a year in advance and really prepare the soil well. Amend it with good organic material once the weeds and grass are gone. Incorporate well-rotted manure, composted leaves, grass clippings, or weed free straw to get the ideal site for these plants. Purchase well-adapted and disease resistant cultivars from a reliable source. 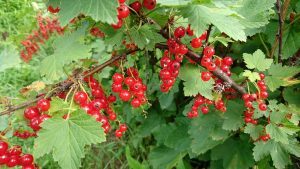 Currants and gooseberries (Ribes) are self-fruiting, but elderberries (Sambucus) will require two cultivars for cross pollination. Plant them in early spring and use organic mulch around the plants to suppress weeds. All of the plants will require some pruning as they grow. Currants and gooseberries will be pruned to have 8–10 bearing canes and 4–6 new shoots each year. Elderberries will have 6–8 mature canes. Remove any broken, weak, or diseased canes. Currants and gooseberries have very similar growing conditions. The plants can easily be distinguished by the spine or “thorn” that occurs at each leaf node on gooseberries. Of course, the fruit is very different, with currants producing 8–30 pea-sized berries in clusters. They can be red, white, pink, or black depending on the variety. Gooseberries produce grape-sized greenish to pink berries singly or groups of two or three. Jostaberries are a cross between a black currant and a gooseberry that gives the best of two worlds. It is sweeter that a gooseberry, but thornless, easy to grow, and very disease resistant. Mature currant, gooseberry, and jostaberry bushes will yield 4–8 quarts of berries each season. Pick currants by the cluster and use them in jelly, juice, jam, and tarts. They can also be dried and used as a substitute for raisins. The season will be extended because they will remain usable on the bush for several weeks, if wildlife does not feast on them first. Gooseberries can be picked at an immature state, when they are green, and used in pies, tarts, jams, or meat sauces. If allowed to ripen to a soft pink they make an excellent sweet fresh treat. Jostaberries are picked when they are fully ripe and soft. Like their currant parent, they have a long shelf-life and make an excellent jam or jelly. The tart, delicious elderberry can be eaten as a fresh treat or used in juices, jams, syrup, and pies. Harvest the cluster of pea-sized berries over a three-week period once all the berries in the cluster are ripe. Read about what the Dodge County Youth Master Gardeners have been up to lately! 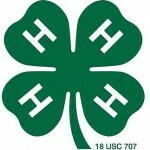 The Focus on 4-H newsletter offers monthly information on 4-H events, project info, and activities. Please call us at 920-386-3790 to let us know which link is down or not connected.